A recent survey reveals that satisfaction with the dental implant procedure is greater than the conventional denture method. Dental implants are a giant leap in the dentistry. These are the only option for the people with the missing teeth. But most of the people are not aware of the post caring of these teeth implants which leads to further complications. Are you one among them? Don’t worry! Here are some useful tips for you to take care of the dental implants Sydney. 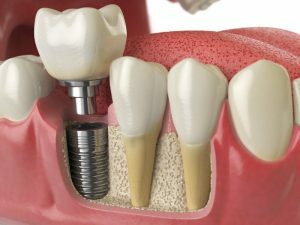 Dental implants Sydney are placed in the jaw bone, which act as a root that rigidly holds the crown or the denture from shifting or slipping. This method is generally preferred for a missing teeth replacement. Dental implants look alike the natural teeth. What Are The Effective Tips For The Post Implant Maintenance? These 48 hours after your dental implant is the most crucial time. Place the given gauze packs with slight pressure in the area of your surgery to hold your teeth in place. Don’t change your gauze unless and until over bleeding exists. After one hour you are allowed to replace your gauze for every 30 to 45 minutes. During your first week after the implant procedure, your implants continue to heal. In this period you have to make some changes in your diet by avoiding acidic foods and beverages and consuming soft food that are nutritious. Also rinse your mouth with salt water periodically in addition to your brushing and flossing. Just as you do a regular cleaning with brush and floss, you are allowed to use the same for the dental implants but use a non-alcoholic mouthwash. As there is a possibility of bacteria invasion, make use of the implant cleaning instruments like interproximal brushes, unwaxed floss, oral irrigators (twice a day) and simulators. Cleaning done by a professional is a very important process in the healing phase of your dental implants. They perform in-depth cleaning which is not possible with any ordinary brush or floss. The dentist uses a method known as Scaling, which removes the plaque and also cleans below the gum line. Thus scaling keeps away the bacteria. There is reason for taking this master check-up, as diseases like diabetes, osteoporosis, slows down your implant healing process. The dental implants cost is reasonable and affordable, so don’t live with the pain. Go for the dental implants for a happy life.